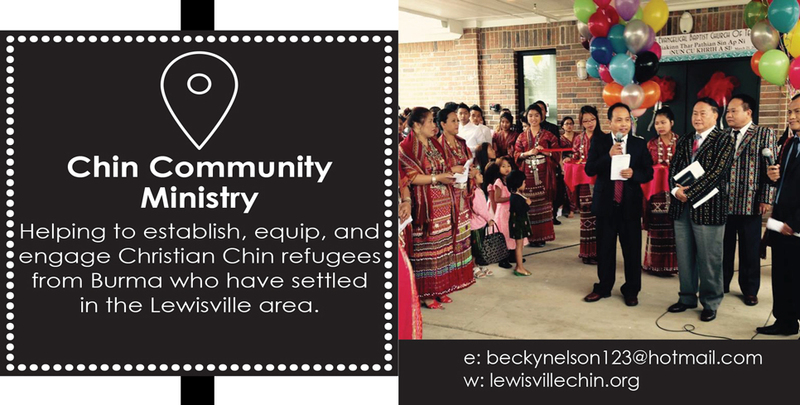 The mission of Chin Community Ministry is to walk with our Chin brothers and sisters in Christ who live in Lewisville. The ministry helps to establish, equip, and engage the Chin by connecting them with American individuals, families and community resources to help meet their practical, emotional and spiritual needs as they begin a new life in America. RockPointe Church considers it a privilege to support this local ministry that is changing lives locally as well as thousands of miles away. 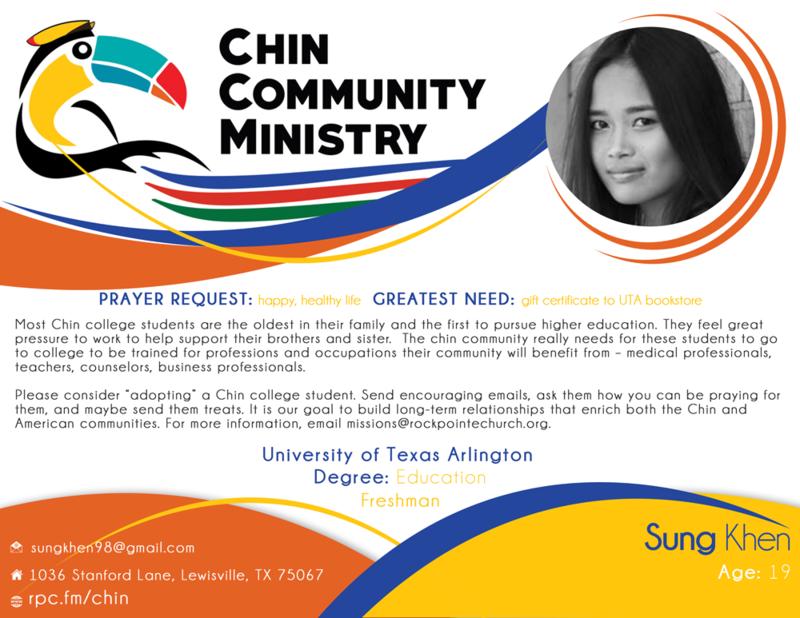 It is the desire of our church to help in providing support that will equip the Chin to become productive members of this community, and eventually productive citizens of the United States. How Can you Serve with the Chin Community Ministry? 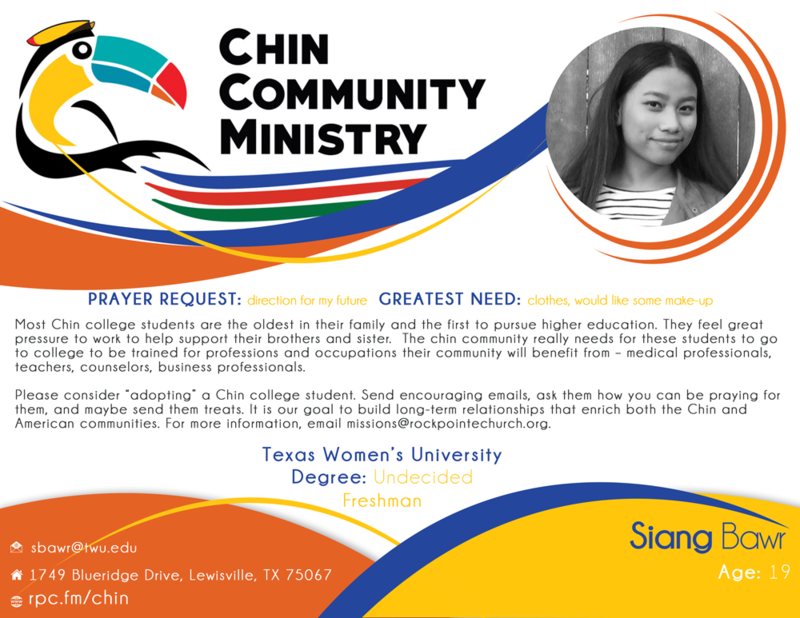 Get involved in serving with the Chin Community Ministry. Contact missions for more information or complete the application to become a volunteer. Most Chin college students are the oldest in their family and they feel great pressure to work to help support their brothers and sisters. School is very difficult. They must study from the same books that native English speakers use spending hours and hours looking up words they don’t understand. The Chin community really needs for these students to go to college to be trained for professions and occupations their community will benefit from – medical professionals, teachers, counselors, business professionals. 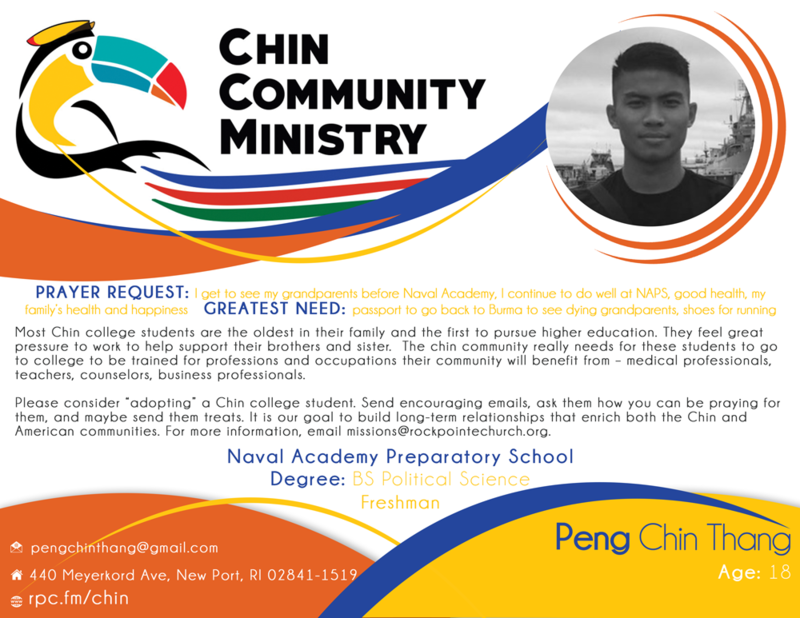 Please consider “adopting” a Chin college student. Send encouraging emails, ask them how you can be praying for them, and maybe send them treats. It is our goal to build long-term relationships that enrich both the Chin and American communities. For more information, email missions. Do you MELO for the Chin Community Ministry? Download the prayer card to the right for the Chin Community Ministry and place the card on your dinner table and pray for them at each meal or on your desk at work as a reminder throughout the day.